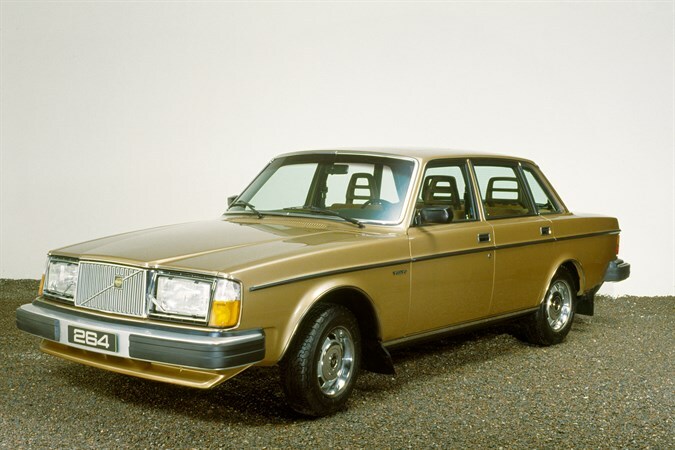 The Volvo 264 was introduced in the autumn of 1974 as the successor to the Volvo 164. It was then produced simultaneously with the 264 in 1975 for the US market. The 164 had been based on the 144 and, in the same way, the 264 was based on the 244. The most striking change was the design of the front of the car with its more prestige-oriented styling. A completely new engine had been developed for the 264 - a V6 with a displacement of 2.7-litres, made entirely of aluminium and developed in collaboration with Peugeot and Renault; it became known as the PRV engine. 2849 cc B28/B280 (PRV) V6. Length 189.9 in (4,823 mm), width 67.7 in (1,720 mm) (sedan pre-1987), 67.3 in (1,709 mm) (sedan 1988–1993), height 56.3 in (1,430 mm), wheelbase 104.3 in (2,649 mm), kerb weight 1,270 kg (2,800 lb).